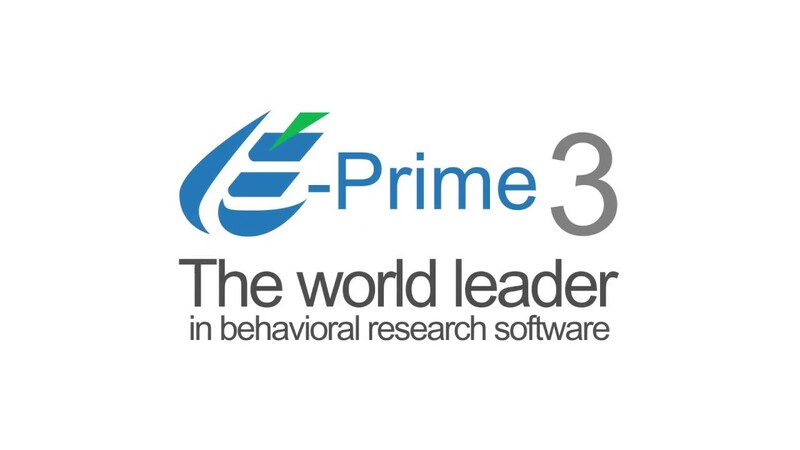 E-Prime® is the most comprehensive software available for behavioral research. 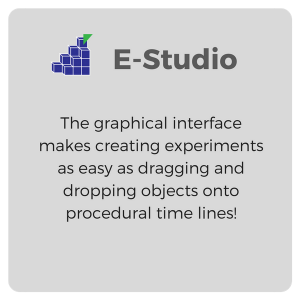 Build your own experiments using E-Prime’s easy-to-use graphical interface. 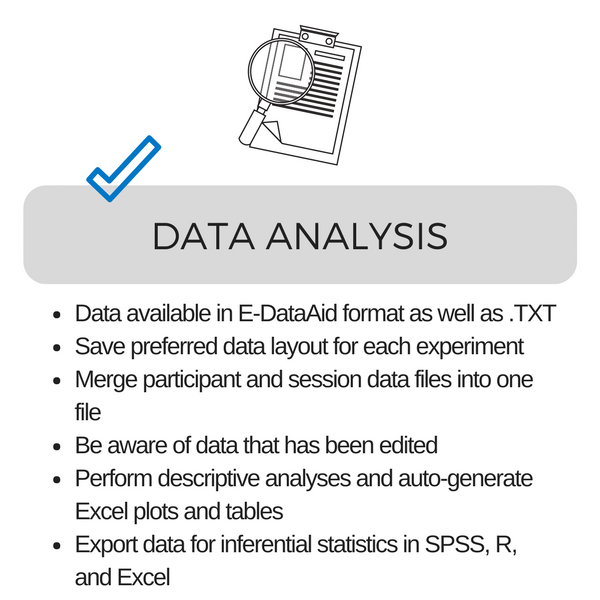 Design, collect, and analyze data – all within a few hours! 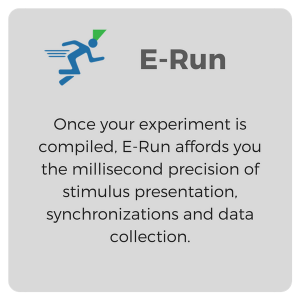 With more than 100,000 users in research institutions and laboratories in over 60 countries, E-Prime is the world-leading behavioral experiment software. 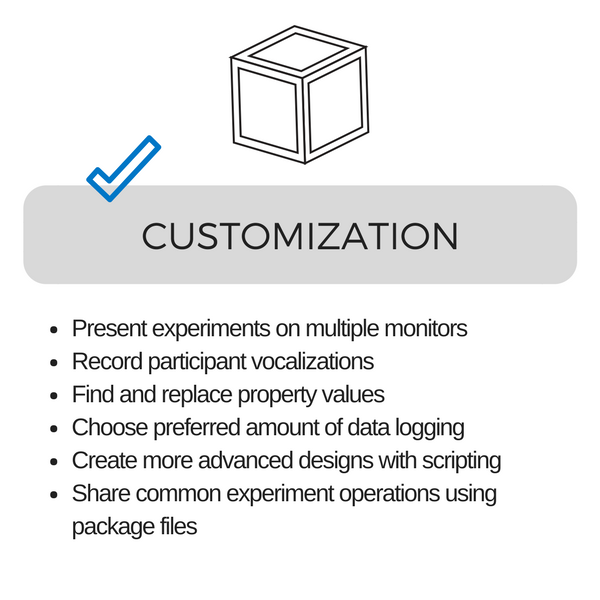 E-Prime provides a truly easy-to-use environment for computerized experiment design, data collection, and analysis. 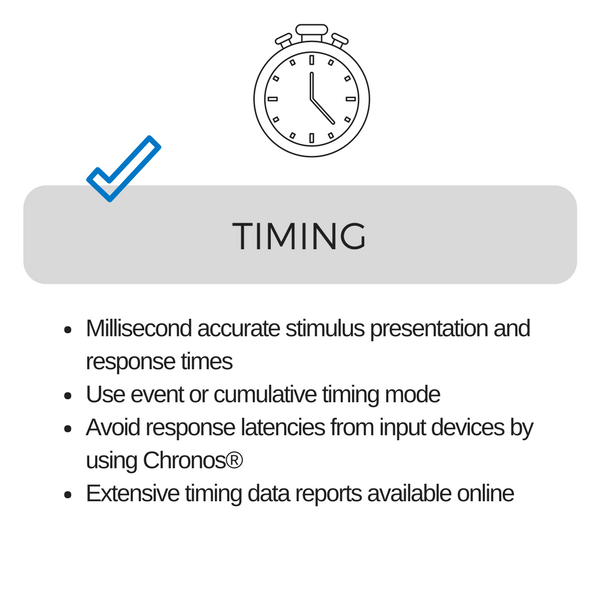 E-Prime provides millisecond precision timing to ensure the accuracy of your data. 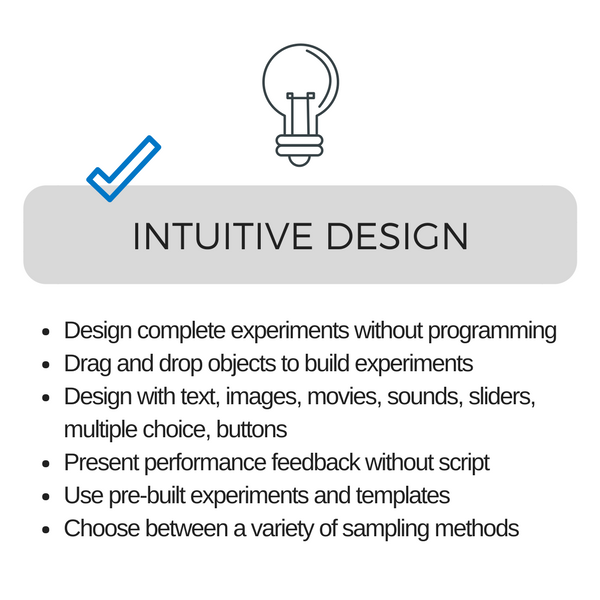 E-Prime’s flexibility to create simple to complex experiments is ideal for both novice and advanced users. 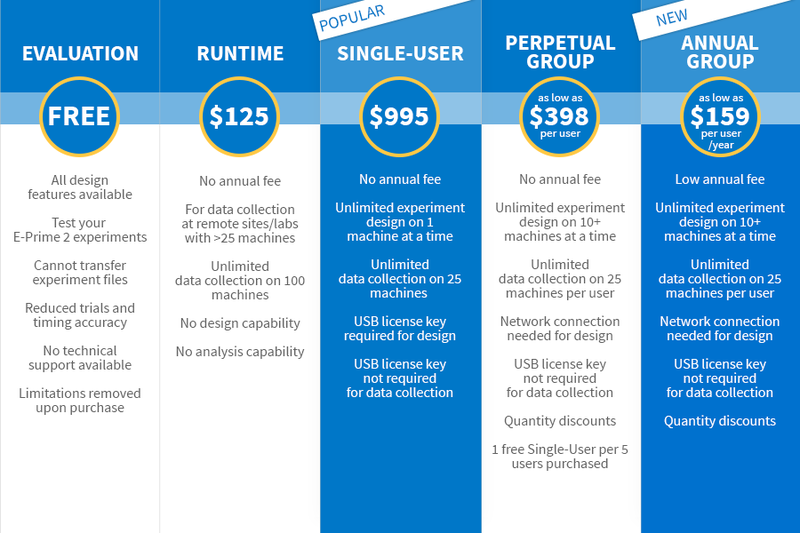 Not sure which license type is right for you? 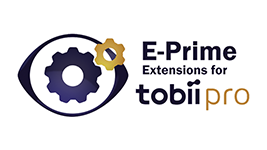 Use the E-Prime Licensing Wizard! *Minimum of 10 users required for all group licenses. 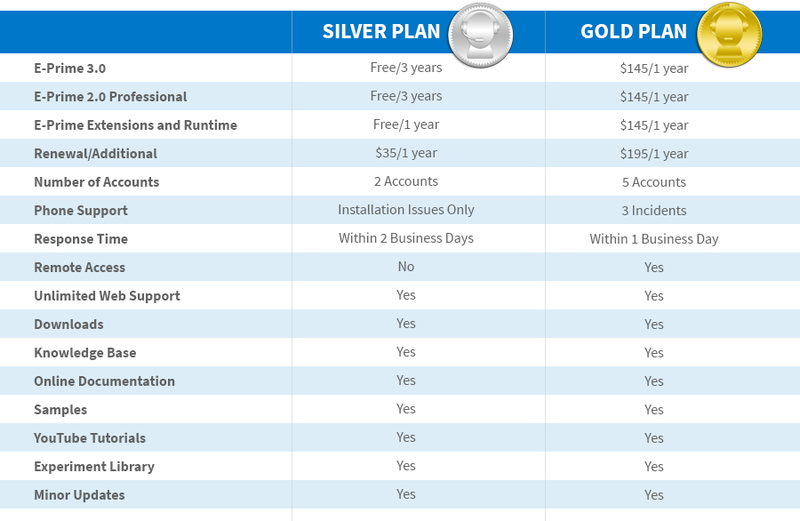 If your support plan has expired, you can purchase a new plan in our online store. * DirectX 11 Hardware Acceleration required for Windows 8 and Windows 10. See KB 19550 for details. Our YouTube channel is updated frequently with new tutorials. If you can’t find what you’re looking for, let us know and we’ll include it in a future video! Follow us on YouTube, Twitter, Facebook, LinkedIn, and Instagram to be the first to learn of new resources, updates, and events! 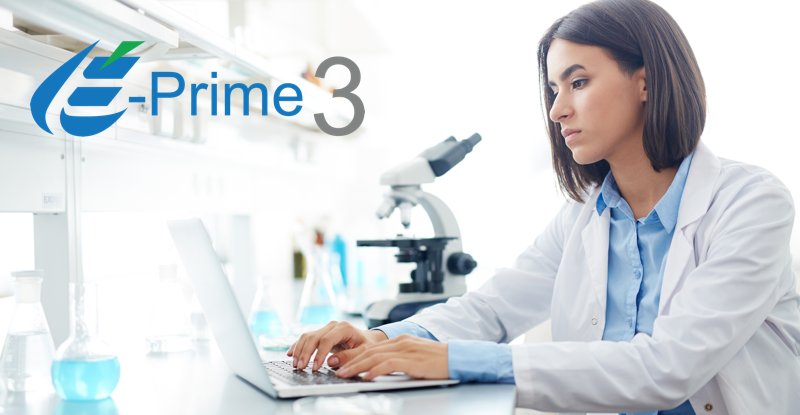 The new E-Prime 3 Experiment Library includes completed experiments that can be downloaded to use and/or modify. 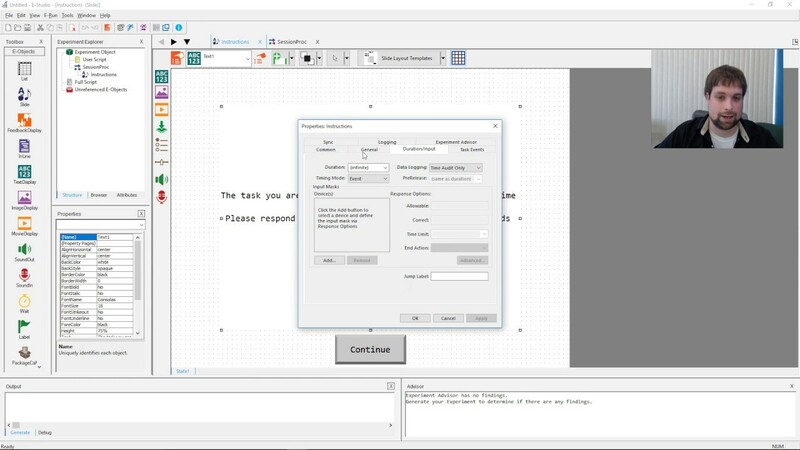 Examples of how to perform specific actions in your experiment are available in our Samples area. 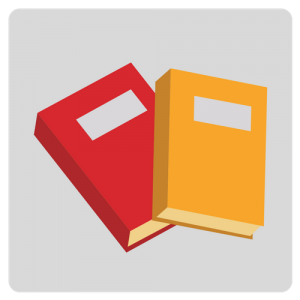 Browse or search hundreds of articles in our Knowledge Base and Online Documentation sections. 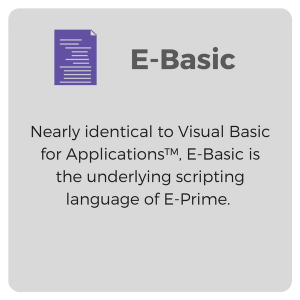 Our Online Documentation includes Advanced Tutorials on using images, movies, sounds, and scripting in E-Prime. If you would like to join the conversation in our user community, please check out our User Forum as well as the E-Prime Google Group. PST Technical Consultants do not moderate these groups. 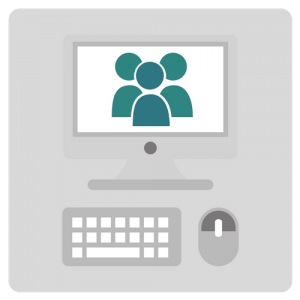 If you would like to work with a PST Technical Consultant, please submit a support request on our Product Service and Support Site. 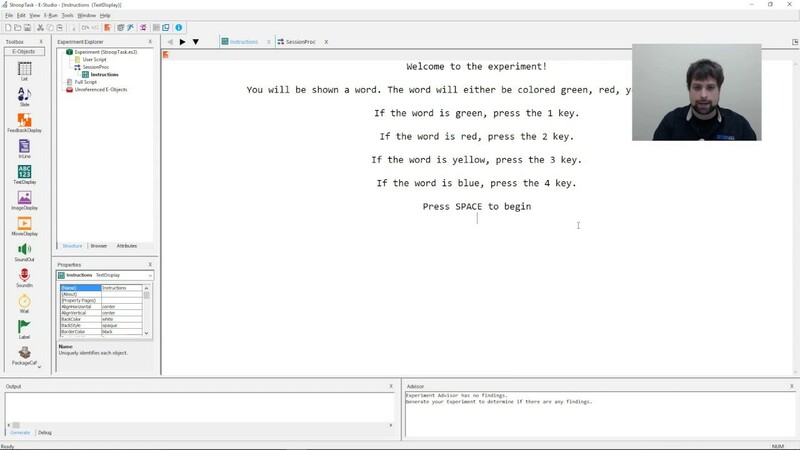 STEP (System for Teaching Experimental Psychology) is a non-PST site organized by Brian MacWhinney in the Department of Psychology at Carnegie Mellon University. 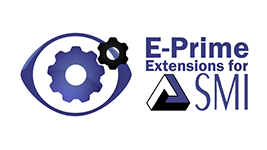 STEP provides E-Prime experiments and E-Prime script samples. 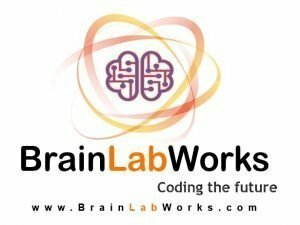 If you are interested in contracting the design of your E-Prime experiment, PST has teamed up with Brain Lab Works to provide worldwide enterprise-grade experiment design in cognitive neuropsychology and related domains. 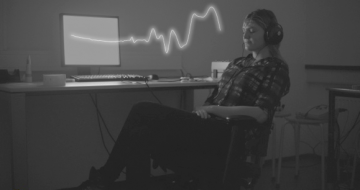 Brain Lab Works is experienced in integrating external peripherals, including eye-trackers, peripheral physiology, EEG, emotion recognition systems, stimulations (electrical shockers, tDCS, etc,. ), fMRI and fNIRS with E-Prime. 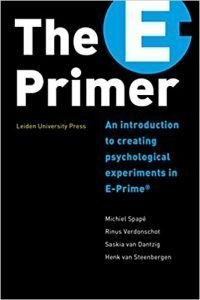 The E-Primer is an independent book written by Michiel Spapé, Henk van Steenbergen, Rinus Verdonschot, Saskia van Dantzig. 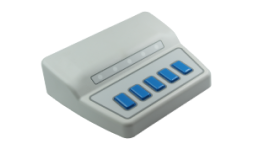 The E-Primer provides an introduction into a wide range of experiments that can be set up using E-Prime. The E-Primer is available on Amazon. Your staff, from the technicians to customer support, are always eager to help, and go far beyond good customer service. Your technicians have helped me trouble shoot both over email and over the phone, and always take care to thoughtfully explain it in a way I can understand. Your customer service has been very receptive to my requests, such as requests to watch certain webinar videos. Needless to say we are happy gold members with E-Prime! The customer care service is excellent - I have received very prompt and detailed responses to all my questions. 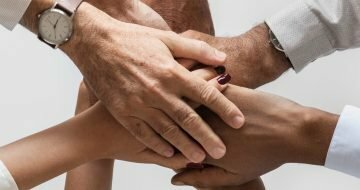 I have to thank YOU and the team for your quick reactions, for taking my problems seriously and for not giving up looking for possible solutions. As a customer one does not encounter that so often. If all support teams all over the world would be like you, PC life would be a bit easier! At the moment I have no more questions. I am very happy to use E-Prime now on my own PC! Staff made several response on the very day that I posted request, helping with a problem that in the end did not even belong to PST. Going above & beyond duty, highly satisfied. 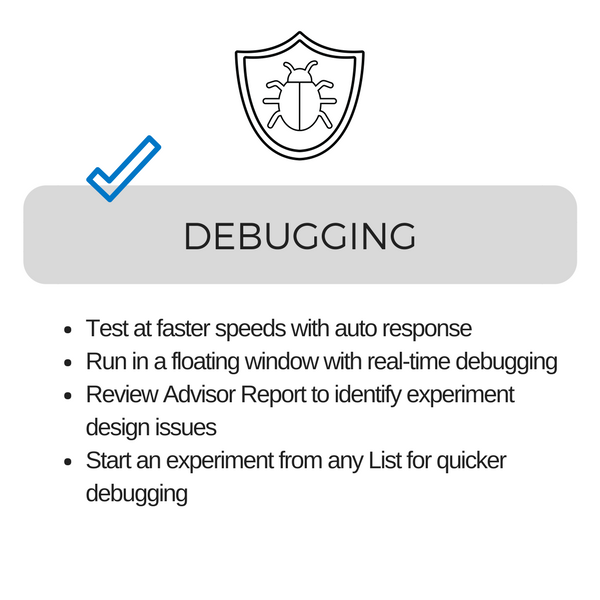 I have contacted PST support several times when faced with problems with an experiment I have been designing for the past six months. Each time, they have been quick to respond and have been incredibly helpful. They offer suggestions and even looked through my program to find out the problem. I am not sure I would have fixed this latest problem with markers showing up inconsistently without the help of the PST Support team. 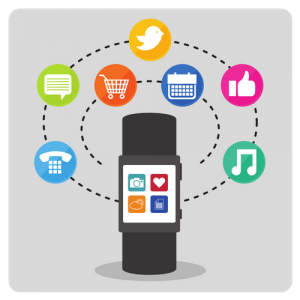 The customer service received from PST is by far the best I have ever experienced when working with any product or software. I wish the product support for all of the programs I have to use to do research were as excellent as the PST support. I greatly appreciate all of the help with my program. Whether it be a mistake I made or something as simple as un-checking a box in an object, they always help me when I am the most frustrated with problems arising when conducting an experiment. Thank you PST Support Team! The best part of the deal is the support staff. They're extremely helpful and knowledgeable. And friendly! I almost look forward to problems coming up! This was the first time I'd contacted PST support and I expected - based on experiences with other support teams - that I'd get a generic, auto-generated response. I was very pleasantly surprised to receive (very quickly!) a personal email from Devon, who addressed the issues I was having and offered suggestions for how to fix them. When I didn't understand all of the suggestions, he wrote back and clarified and was very patient throughout the experience. I am so grateful to have had such a nice experience with your support staff. Ultimately the problem was resolved and I am very thankful for the help I received from Devon. THANK YOU!!! 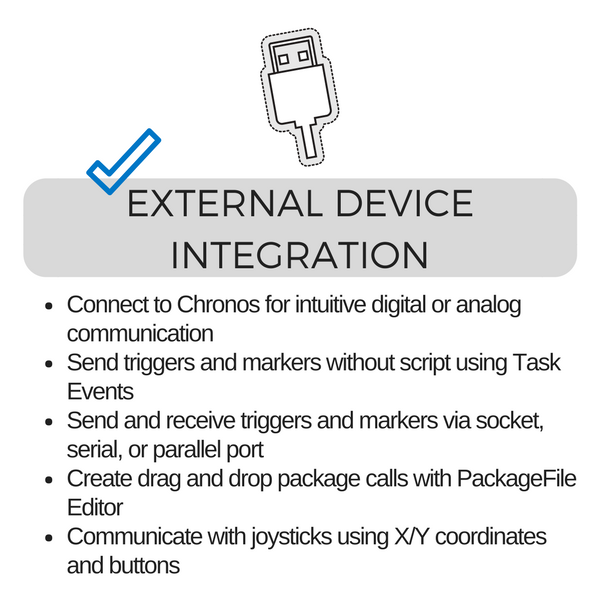 We are always happy when working with PST. Everything is working very well! 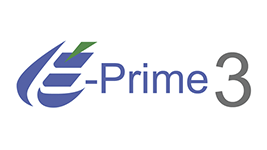 I have been using E-Prime for 10 years now. Your technical support has always been and continues to be the most helpful support with which I have ever interacted. Thank you for the great work that you do! I'm very impressed with the quality of response I receive from PST. The technical consultants, particularly Devon, are amazing. My graduate students and I are very grateful for such excellent support as we learn e-prime. This technology worked great. I did not experience any 'bugs' and headaches were kept to the minimum. Keep doing a great job! How many E-Prime 2.0 licenses would you like to use to upgrade? 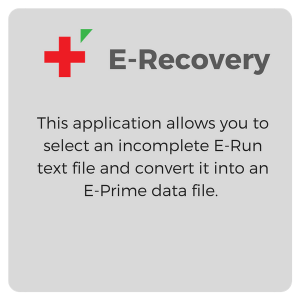 Current E-Prime 2.0 users who have a green USB License Key can use the License Key to validate an upgrade to E-Prime 3.0 (if it has not already been used to do so). 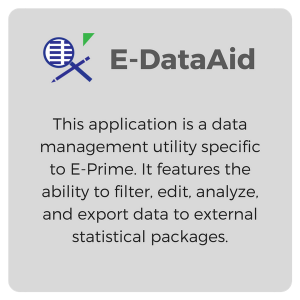 The E-Prime 3.0 Upgrade License ($795 rather than $995) functions the same as a the "full" E-Prime 3.0 License, but requires a one-time validation using the E-Prime 2.0 Key. 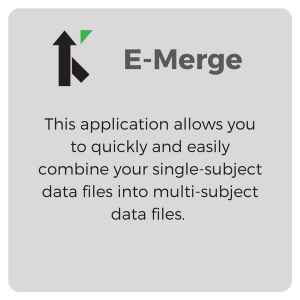 Once validated, the E-Prime 2.0 and E-Prime 3.0 USB Keys will both be fully functional and can even be installed on the same machine without issue - allowing longitudinal research to continue unaffected! (Hidden) Number of "Extra" Data collection machines - should be positive! How many different sites will you be collecting data at? Not sure if E-Prime will work for you? 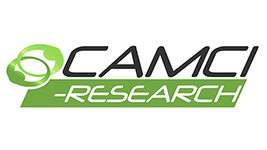 Take a look at the licensing tab to find a licensing option that works for your research needs! 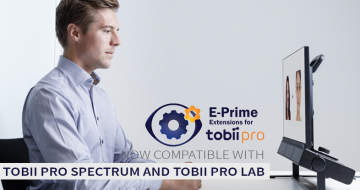 Make sure to use the E-Prime Licensing Wizard if you’re still not sure what kind of license you’ll need!